Join us for “Working Effectively with Sexuality, Intimacy, and Diverse Gender” with Charles Strauss, LICSW, on Friday, June 1, 2018, from 9:30 am – 12:45 pm, at the Parish of St. Michael in Bedford, MA. This program is worth 3 CEUs! Charles is a psychotherapist who works with clients across the full range of gender and sexuality, providing individual, relationship, and family therapy for both youth and adults. 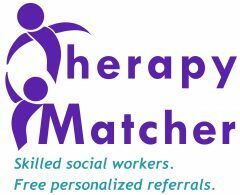 This workshop is sponsored by Therapy Matcher and there is a discount for Therapy Matcher members! Email Barbara for the discount code and then register here.